Google is claiming that they have thought of every page as a magazine layout. Every page must make an impact and big pictures together with clean, crisp typography play a big role in the new interface — a queue here to Microsoft’s Metro UI. To accomplish this the new OS has a new cleaner typeface ‘Roboto’, which is replacing the ‘Droid Sans’ font. If you are used to the omnipresence of green in Gingerbread, ICS borrows the same neon-blue hues that Honeycomb tablets were already used to. Neon-blue is now the key color in the OS. On top of your wallpaper of choice, you get a big digital clock, in the Roboto font, at the top and an encircled padlock at the bottom. Moving the circle you can either unlock the device or launch the camera up. You can also pull down the notifications to check on messages and missed calls without having to unlock the device first. No need to enter a passcode to unlock your device. Face unlock uses the front camera for face recognition in order to unlock the device. I have been using Visidon Applock from the Android Market, which offers similar functionality. You can finally take a screen-shot, without having to root your device, by holding down power and volume down. The bottom row of fixed buttons can now be replaced by virtual buttons, which rotate when you rotate the device. This means that the screen on a device can be bigger as there is no need to make space for fixed buttons. When you view a video the buttons hide so that the video takes over the entire screen. You can now more easily manage and install widgets through a dedicated widgets tab on the applications page. Widgets are now resizable and can offer interactive 3D animations, so that you can scroll into stacks for example. That’s how the new customizable launcher, that remains fixed while scrolling between homescreens, is called, providing easy access to your favorite apps or contacts. It can even contain folders — see below. 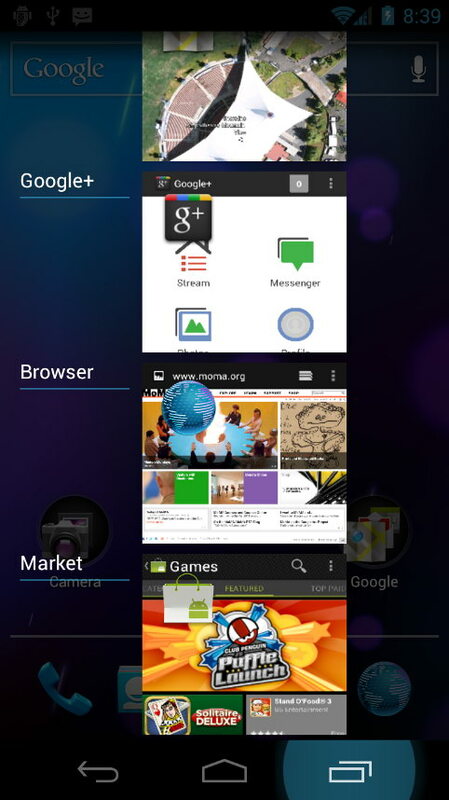 You can drag and drop applications onto each other on your homescreen to create or add to existing folders. Creating folders of contacts works in the same way. When you touch on a folder a dialogue box pops-up containing your apps or contacts. You can even add folders to your favorites bar. There is a new icon which shows recent apps with big thumbnail previews in a vertical list. 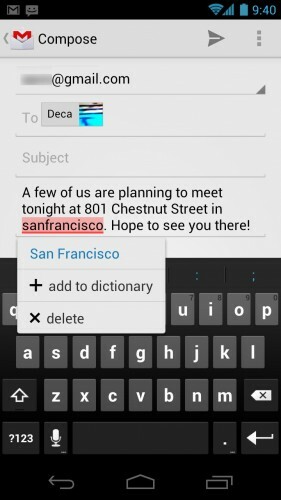 You can toss-away applications by flicking left/right – similar to how you close applications under webOS. New music player controller in the notifications tab, so that you can pause or skip tracks directly from the notifications. You can dismiss individual notifications (like in Motorola’s MotoBlur) by flicking left/right. As mentioned above, you can go into your notifications from the lockscreen so that you can e.g. check your missed calls. More accurate and more responsive keyboard, with better error correction and suggestions, and new inline spell-checker. 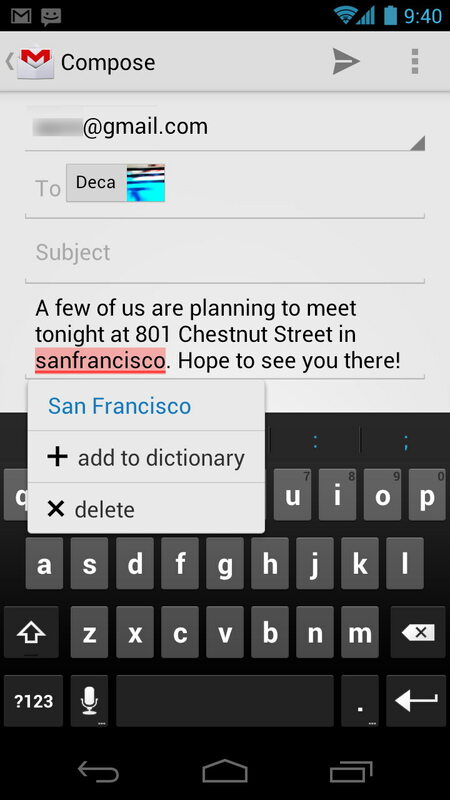 Improved cut, copy and paste, you can just select text and drag it into a new position. Instead of you dictating your entire text and after you finish wait for your phone to process it into a block of text, now your spoken words are converted into text as you speak. 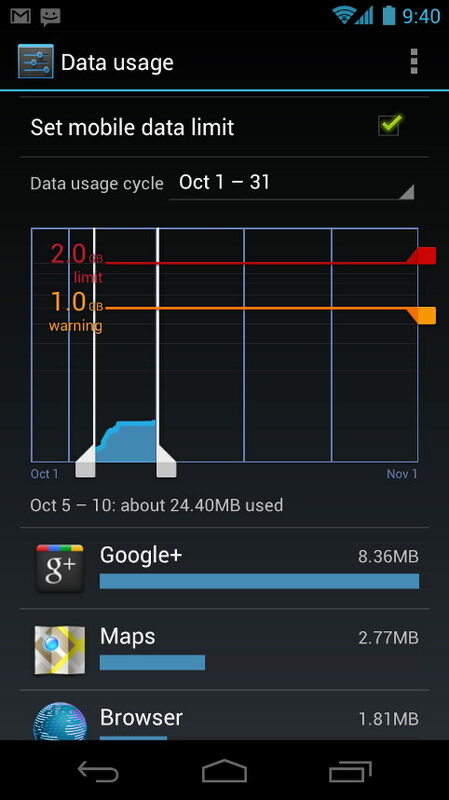 Data usage section – you can see your monthly usage so far and set notifications and cut-off limits to avoid going over your monthly data allowance. 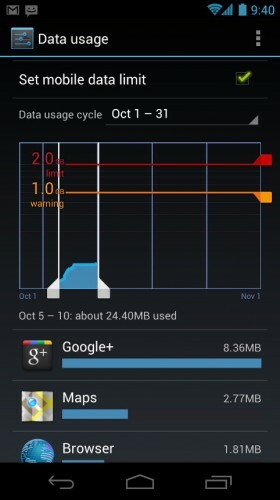 You can also see usage by app to identify any data hogs. Disable bloatware – even though you may not be able to uninstall certain applications, such as those pre-installed by your mobile carrier, you can now disable them, which means they will not launch and disappear from sight. 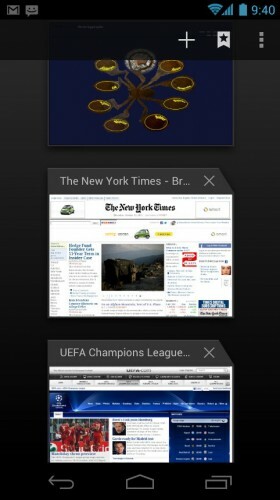 New interface to switch between tabs, with a vertical preview list, similar to the multitasking interface. You can have up to 16 tabs open and you can close a tab, again, by flicking it left/right. You can force a page to load the full version over the mobile optimized version from the browser settings. Bookmarks automatically sync with Chrome on your personal computer. You can now, easily, save a page for offline viewing. Cool! Redesigned inbox with two-line previews to give you a better idea what an email is about without opening. There is a new action bar at the bottom, which changes according to context and puts the most common actions one touch away. You can now search, by default, the last 30 days offline. Redesigned calendar with pinch-to-zoom to change the level of detail displayed. Camera app can be launched from the lockscreen, features redesigned interface with easier sharing directly from app. Touch to zoom. Very short shutter lag so you can take photos instantly. 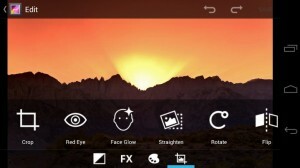 You can now take motion panoramic pictures – you pan the camera and the software automatically stitches all the photos in a large panoramic photo. 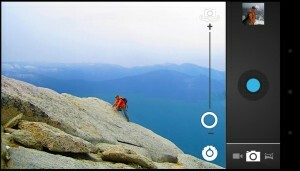 You can, optionally, automatically sync photos taken with Google+. New photo editing tools, such as crop, straighten and exposure, and filters. 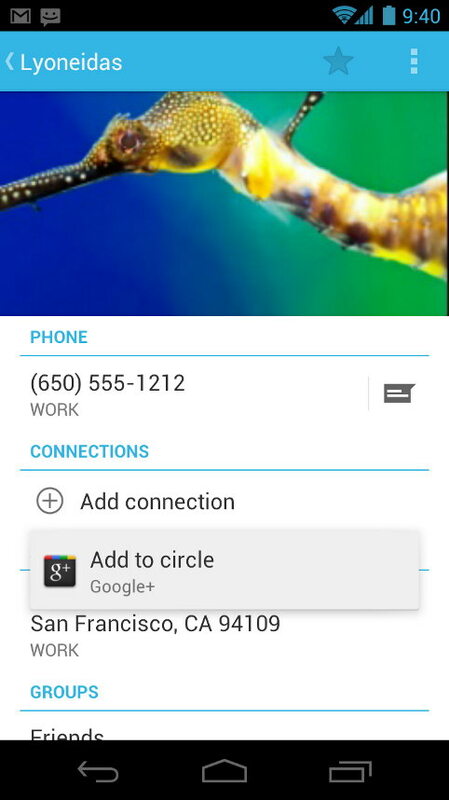 Contacts with a redesigned layout; photos take key positions. The People app aggregates all updates from services and social networks and presents them as a separate tab for each contact. Swipe left/right to switch between the dialer, contacts and favorites. Favorites are now photo cards of your contacts. 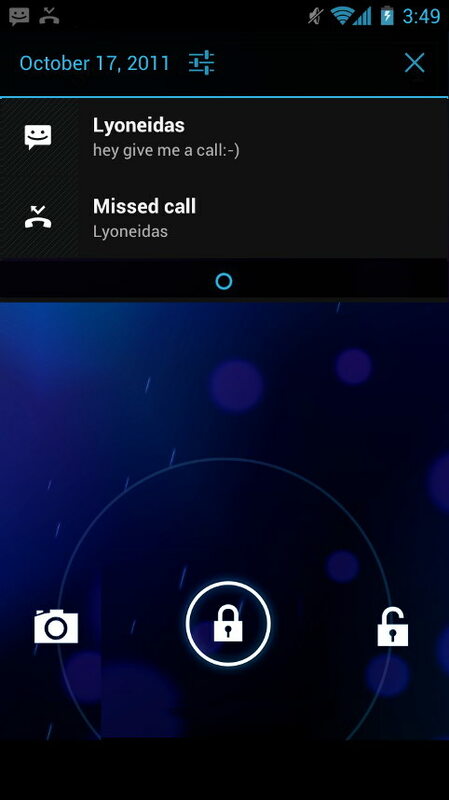 When receiving a call, instead of declining, you can swipe up to send a quick pre-customized message if you are not able to answer. 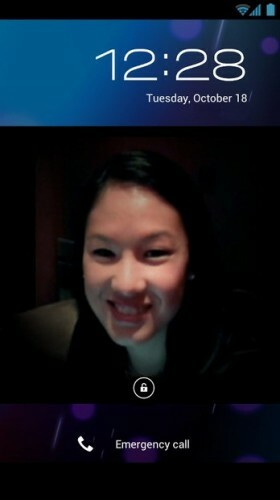 You can share any content between two NFC enabled ICS smartphones. This includes sharing web pages, maps, YouTube videos or contacts by touching two phones together. Well that’s all for now. 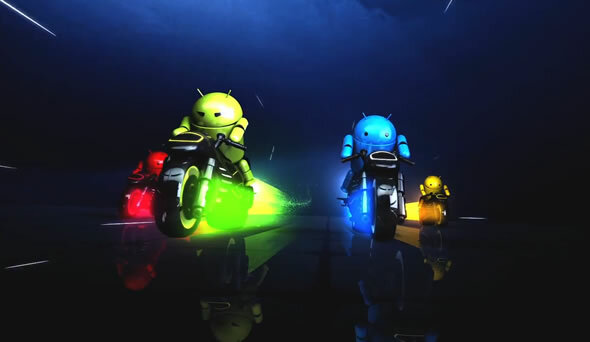 There is a lot to digest with the new Android 4.0, but Google has been very careful in keeping the way you interact with ICS and the system apps consistent, so it should be rather intuitive in getting used to the new actions and take advantage of the new features.